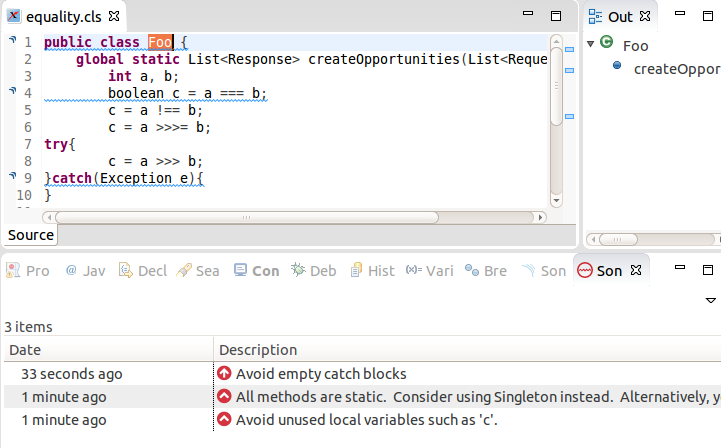 The CodeScan Eclipse plugin provides on-the-fly feedback to developers on bugs and quality issues, it is a fully-integrated user experience in Eclipse based IDE. 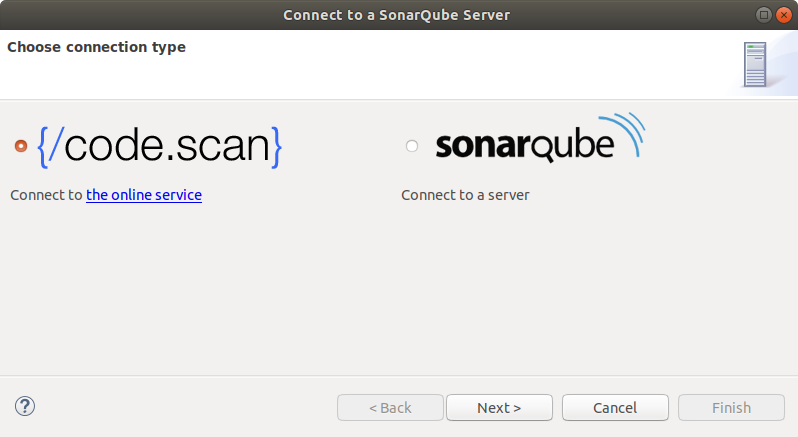 The plugin is derived from SonarLint but please NOTE that currently the CodeScan Eclipse Plugin WILL NOT WORK ALONG SIDE THE SONAR LINT INSTALLATION. You must uninstall SonarLint. a recent version of Eclipse (CodeScan was tested with Oxygen). CodeScan will NOT work with Eclipse Juno. Click Add and enter https://www.code-scan.com/eclipse as the location. Now you have to set up Connected Mode. With Connected Mode - the rule profiles used on the ‘bound’ server are used in Eclipse. In Eclipse’s SonarQube server view, right click and choose “New -> Server connection”, or directly do “File > New > Other… > SonarLint > New Server”. 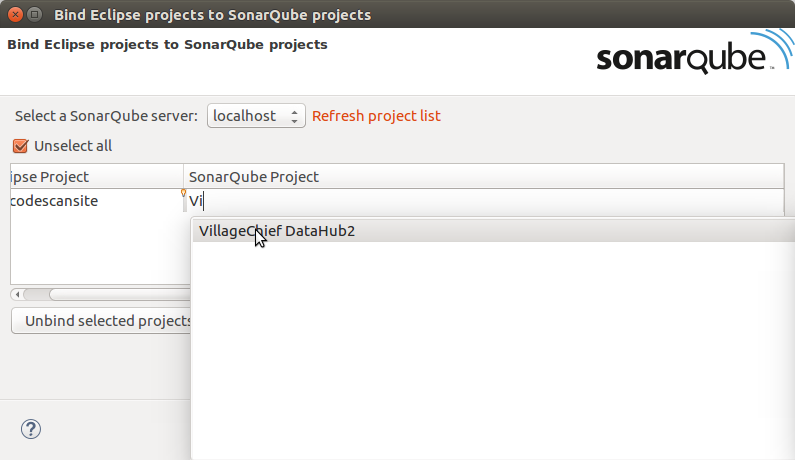 Next to each Eclipse project you need to search for the corresponding SonarQube project name. The “Auto bind selected projects” feature that will try to find best match based on Eclipse project name. Click on “Finish” to persist the binding. You should now show SonarQube overlay on your bound project icon. If you need to refresh the local configuration (to retrieve new Quality Profiles and rules), you will need to right click on a server and use the “update” action.